Here is a link to a recent podcast that I did with Wil Fleming and Coach Dos. It was really fun to talk training with these guys. Hope you enjoy! Here is a short video of some hip hinging exercises and progressions that work for me. These have been great when working with kids in a large group setting. A common email that I get is usually from a younger strength and conditioning coach who is interested in working in professional sports. “What was the path that you took that got you to where you are ?” First, I am truly honored and humbled that some folks are 1- interested in a similar career, and 2- take the time to ask me what I have done in my experience. I appreciate this because I remember writing and sending emails and letters to Strength and Conditioning coaches, head coaches, and management personnel on my old Dell Computer when I was first starting out. I would like to take a shot at answering. I would begin by saying that I was lucky to enter the professional hockey ranks at a time when the full-time Strength and Conditioning Coach wasn’t common. At the time, there were part-time strength and conditioning coaches, athletic trainers who possessed their C.S.C.S. (Certified Strength and Conditioning Specialist) who did it in addition to their full-time responsibilities, or outside consultants. I was fortunate to be the first full time Strength and Conditioning Coach for an organization at the time (2002). The reality it is that it is probably harder to obtain full time employment in professional sports now than it was 16 years ago. Not only is it difficult to work in professional hockey but it is also difficult at every other level of any sport. Strength and Conditioning/Sport Performance is an awesome profession and more people want to become Strength and Conditioning Coaches. What I would like to do is let you know what I believe worked for me. It is definitely a combination of having a passion for what you want to do, making the right decisions, education, experience, luck, and knowing the right people. When I was an undergraduate Exercise Science student in college, I decided that I want to become a Strength and Conditioning Coach. At the time, I was a football player who enjoyed strength training. When I found out that there was an profession of coaching athletes in the weight room with the intention of improving performance and reducing the potential for injury- I knew it was what I wanted to do. Find mentors- I met great people who helped guide me throughout my career. Without them, I wouldn’t be where I am today. They also went to bat for me when a Head Strength and Conditioning Coach or a Head Hockey Coach was looking for a “Hockey guy”. There are so many mentors that I had and still continue to receive guidance from. I wrote about mentors here. Volunteer/Internships- You will need to get experience. Learn how to coach and interact with athletes, coaches, and administrators. You never know who or where these people might be in the future. Find a way to make it work. Work another job if you have to. I completed 3 internships/part-time opportunities before I went to graduate school. Master’s degree- I’m not sure if this is 100% necessary. Although I will say that I’ve spoken to several collegiate Head Strength and Conditioning Coaches who will disregard applicants who don’t possess a master’s degree when hiring assistants. Considering that some professional teams that have Directors of Sport Science with PhD’s, I would strongly recommend it. Take risks and adventures- For me, when I was in my early twenties, I didn’t necessarily want to leave the Boston area. This was where my family and friends were/are. I realized that if I wanted to do this as a profession, I would have to go . I think this coincides with not being afraid of being uncomfortable. Learn new ideas and philosophies from different coaches and work to develop your own. Work hard- This goes without saying. Arrive early and stay late. Network and read everything that you can. Some resources that I recommend are here. There are also several paths to working in professional sports. This isn’t necessarily what you have to do. I know of several of coaches who took different paths. I wrote my story to let you know that this is what I did because I believed that this process worked. There were no shortcuts or situations where everything was perfect, but I think things worked out. Over the past year, I’ve read some really good books. An author of books that I really enjoyed is Ryan Holiday. His books include The Obstacle is the Way, Ego is the Enemy, and The Daily Stoic (which I read on a daily basis). What Ryan writes about in those books is the philosophy of Stoicism. To me, and what I took away from the books is pretty much trying to embrace living in the moment. The idea of focusing on what is in front of you and not letting outside influences getting in the way. Outside influences would include events or stress that have happened in the past, present, or in the future. In the athletic world, when the word stoic is used to describe a leader or a coach, I think of Coach Bill Belichick’s “Do Your Job” and Coach Nick Saban’s “The Process”. They are great coaches who emphasize performing the task at hand to the best of your ability with the end result being continuous improvement. In the Strength and Conditioning world, the overall process can be a grind. The athletes you work with need to be able to do what is in front of them to the best of their ability. The focus must be on the repetition at hand. It can’t be “Damn, I have 3 reps left” or “We have to run shuttles tomorrow”. I think it’s the job of the Strength and Conditioning Coach to help keep your athletes in the moment. Correct their technique, encourage their execution of the task they are performing. This is important at all levels of athletics. Student athletes in high school and college have way more on their plate. Going to class, taking exams, studying, etc., are all different demands that each student athlete faces. Then, adding team dynamics such as practices, games, role on the team, Iis Coach mad at me?”, on top of that creates a situation where the athlete has a tougher time focusing on the task at and. This is also a reality at the professional level with the exception of being a student. Except for them it is family, financial, and other responsibilities. 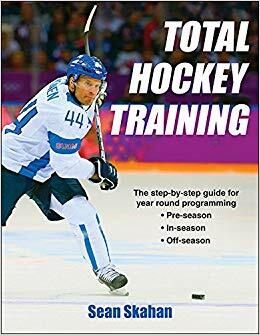 In the professional hockey environment, the better players that I have worked with over the years embrace the process of the season. Playing 82 games is a grind and each season has its ups and downs in terms of wins and losses including streaks and slumps. It’s a reason why I think many players are superstitious or have routines that they go through to help them prepare. I had the privilege of attending the Athletic Performance Summit Featuring the Legends of Strength and Conditioning back in May. It was a seminar that I heard about only a few weeks before. When I saw the lineup of speakers, I knew I had to attend. What really attracted me to this seminar was that most of the presenters worked in the team environment successfully for several years and have the championship rings to prove it. While the format of the seminar was outstanding, it wasn’t necessarily the information that these guys shared on their power points that made it worthwhile. It was more of their ability to share experiences with the teams and individual athletes that they coached with the attendees. This is something that I find extremely valuable. These men opened up about their philosophies and programs and were accessible throughout the weekend. For example, Johnny Parker, who was the Strength and Conditioning Coach for the Giants, Patriots, Buccaneers, and 49ers, gave out his phone number and email address to everyone. Talk about a humble human being. What I also found refreshing was that these guys were truly there to teach, share ideas, and learn. Their passion for what they do really showed. These are coaches who I aspire to be like someday. These coaches clearly have learned and helped each other with their coaching philosophies as their messages were very similar. For example, Charlie Francis was referenced by all of them numerous times. Tempo running was a staple for a few of them. Also, the Javorek bar complex was also a common theme from an evaluation perspective. Background- I had previously heard about Cal Dietz doing RPR with his athletes at the University of Minnesota and I was intrigued. I heard some vague descriptions on what he was doing from some of his athletes and some Strength and Conditioning Coaches. However, to hear athletes say they felt great and to hear several Strength and Conditioning Coaches whom I respect refer to it as a “Game Changer”- I had to find out more. Back in the fall, I was fortunate to visit with Cal and see what it was all about. For me, I have had several injuries and surgeries over the years. I think that has made me try to become a better Strength and Conditioning Coach so my athletes can best avoid what I went through. My body has been beat up and I feel that I have learned to live in pain. What I found out was that I was weak in several of the muscle tests that Cal performed. For example, my hip flexors tested pretty poorly while lying supine while my glutes tested weak while lying prone. Cal performed the resets on me and then I re-tested. The change in not only my strength, but the initial action of the test was unbelievable. My posture was dramatically improved and I felt different while walking. I was now using the right muscles in the proper sequence to move. More importantly to me, my pain was relieved. Over the years, I have learned that some protocols either can be short-lived or can be B.S. Honestly, I was a little skeptical of it before hand. However, the reality is that I felt great and the effects lasted a few days versus a few minutes. The certification was a great experience and Cal did a terrific job ensuring that the students learned the information. I really think the breathing reset is key. I’ve always been a believer in activation exercises but also believe something may be missing. There is something more than stretching the hip flexors and performing glute bridges to activate the glutes. What if the psoas is stuck and we are performing glute bridges? Are we facilitating compensations even more? Do the resets fix these compensations? Is this the best way to turn on the lights on quicker when our muscles are called to action to produce movement? I believe in the process of strength and conditioning and understand that processes take time. Is this a shortcut? Could some of what I have been doing be eliminated- especially if compensations are taking place? Would like to FMS an athlete and then perform RPR and re-screen. If FMS corrections are performed to help get positive changes and if RPR produces a positive change, then is it ok? Should RPR be performed by Strength and Conditioning Professionals or Personal Trainers who aren’t P.T.’s, ATC’s, or massage therapists? This is interesing. I think the system is easy to learn and execute properly. Sure, a newly minted professional with less experience may not be ideal but who says they can’t practice? My observation at the clinic was that each person there got it. Is that a bad thing? I do know that athletes believe in systems that help them feel and perform better. Helping them achieve that is all that matters. Is RPR a tool that can help them do that better? Honestly, I think that’s great. If it is something that has a positive effect, and doesn’t take long to perform, then why not? For me, writing this helps me with getting my thoughts about it out of my brain. I know that I will perform the resets on myself and use it appropriately when the opportunity arises with my athletes. This week’s video of the week is the Goblet Squat. Following last weeks’ Hurdle Over/Under video, here is this weeks’ video.